Fibroids and Adenomyosis are two extremely common conditions in women, however, adenomyosis is often mistaken for fibroids by ultrasound. Adenomyosis is a severely underdiagnosed condition that is commonly mistaken for Fibroids because of its similarities in sonographic appearance and symptoms. In order to avoid mixing them up, it is important to fully understand the sonographic difference between the two. 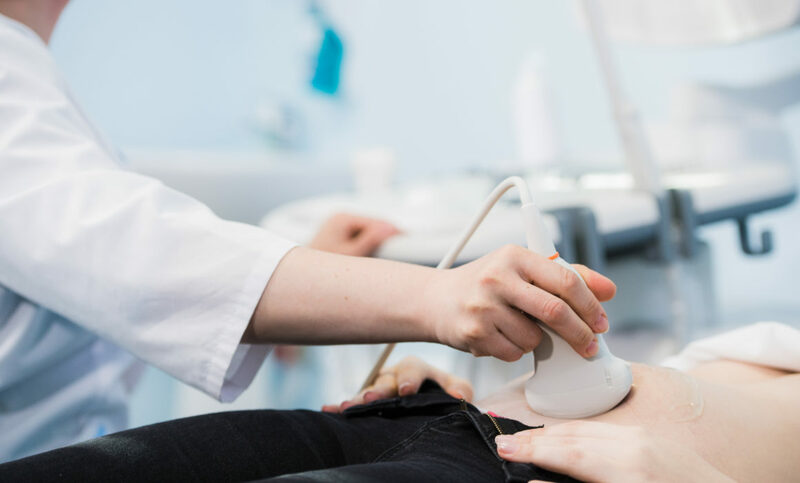 The treatment is different for these two conditions, therefore an experienced sonographer who can tell the difference between the two is crucial. So what are some of the most common characteristics that lead to this confusion? The main sonographic finding for Adenomyosis is an asymmetrical thickening of the myometrium and an increased echogenicity due to the invasion of endometrial cells. This is often accompanied by small cysts, which create a very inhomogeneous texture. This inhomogeneous texture may resemble ill defined fibroids, and an inexperienced sonographer may confuse the two. Fibroids, on the other hand, usually appear as well-defined masses that may protrude into the endometrium or outside the uterus. They seldom have cysts and are usually more hypoechoic. Other notable differences between Fibroids and Adenomyosis are that fibroids display peripheral vessels, distal shadowing, and calcification, whereas Adenomyosis, has central vessels, streaky shadows, and no calcification. Failure to properly diagnose either of these conditions can lead to the persistence of symptoms and possibly unnecessary surgery. Soundwaves is a turn-key ultrasound service that specializes in Ob/Gyn sonography, made up of an experienced staff that studies cases like this on a daily basis. Allow us to help you perfect your practice and assure that you are providing your patients nothing but accurate and quality care. Call us today to book a Soundwaves sonographer at your office.